Work is worship, which means that your workstation deserves to have a proper look and functionality. Office workstations ought to be classy, comfortable and conducive. They should be sufficiently comfortable and highly functional to help the employee stay productive throughout the day. Companies may not realize it but office workstations play a key role in enhancing the productivity of employees. They can impact the mind and body of the employees in profound ways which ultimately affects their work quality. The comfort of employees inside the office is a key factor in keeping them energized and engaged. It is crucial for their productivity and performance. Higher productivity and better performance are the reasons the concept of ergonomic workstations i.e. workstations that ensure comfort, efficiency, safety, and productivity of staff is picking up gradually in all places. The fact that people are spending longer hours in offices has made employers take note of the state their office workstations are in. Slowly, employers are waking up to the need for ergonomic workstations in their offices that reduce the work fatigue and wield a positive impact on the mind and body of the staff. They have come to realize the significance of good looking and productivity-boosting office workstations in the workplaces. Companies, irrespective of scale and size, are investing a fair amount of money in office furniture and it is definitely a good sign as it will undoubtedly prove rewarding for the employers. The worth of productive office workstations has finally dawned upon companies but those who are still untouched by the change sweeping the corridors of offices, must understand that a basic workstation is not quite the right thing for working professionals in the fast-paced work environment. Just white walls, dark chairs and drab desks would not charm and motivate the new-age employees. It is not in the best interest of their health either. They need sufficient space and legroom to stretch and move around. Their bodies need adequate support to keep them moving. Also, they need that extra edge in the form of a dash of color and some quirk to keep their creative juices flowing. In short, they need a work atmosphere that is soothing and scintillating in equal measure. They need to feel relaxed in order to work peacefully while being rejuvenated enough to keep going when monotony (the inevitable side effect of office work culture) takes over. This is the reason behind the need for creativity and comfort in office workstations. The good news is office furniture makers have come up with the right solutions. They have a huge variety to offer to professionals and Urban Hyve brings for you a wide assortment of workstations that will help you set up your dream office workstation in any style you want. Office workstations come in different sizes and offer to accommodate people in different configurations. Starting with the basic desk which also doubles up as 1-person office workstation, it has one desk with adequate cable ports and partitions for storage. You can use it to install your computer, keep files and also other stationery. It has sufficient space to keep all the work-related stuff and is suitable for all those looking to create solo workstations in their offices. The good thing is that freelancers and people working from home, who are looking to set up their personal workstations, can also use it for best results. Proceeding upwards, there is 2-person office workstations or 2 seater workstations which can accommodate and take care of the work requirements of two people working side by side on the same desk. Likewise, there is 3-person office workstations, 4-person office workstations and 6 person office workstations. These different-sized workstations, also known as collaborative workstations, can accommodate the specified number of people working in teams. They come with arrangements to cater to the working requirements of different number of people. They are spacious and smart with provisions to hold the work-related stuff of the people. They have sufficient number of cable ports to provide each individual with a connection to their computer system along with separate storage space. 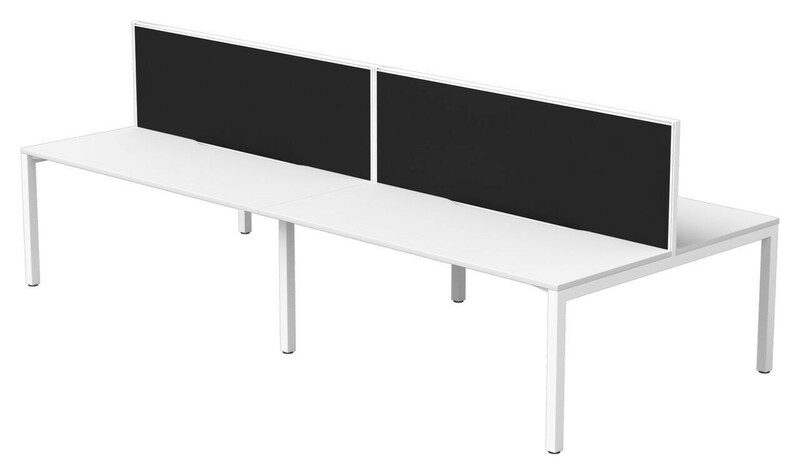 At Urban Hyve workstations are also available in different shades and material. The shades range from the traditional white and black to the colourful spectrum that includes vibrant colors like orange, yellow, green and the like. The palette is larger than what you would expect, and the choices are so myriad that you can easily find a suitable shade to sit in your office. The colours let you experiment and give you the freedom to get as creative as you desire. You can easily pick matching colours to go with your office walls and flooring. The interior décor of your office would find best expression with these colourful workstations. As for material, office furniture is no longer restricted to wooden workstations. Though it still remains the top choice due to its sturdiness and signature appeal, workstations proudly flaunt steel, high-grade plastic, glass, aluminum, PVC and other types of material. The entry of these materials has added to the aesthetic value of the workstations and also enhanced their utility. Their shelf life has gone up and they have become lighter, smoother and more appealing. The shapes of workstations are largely rectangular but newer variants like L-shaped workstations, T-shaped workstations, one-sided, two-sided and other innovative shapes are also getting popular. The novelty in their shape is a big draw and so is the utility. These workstations are designed to maximize employee comfort and people working on them can be sure of having a smooth workflow as they go about their tasks each working day. A less-talked about but quite important aspect of the workstations is their flexibility. These days, workstations with adjustable height and position are in great demand. Their ability to be bent and tilted makes them an ideal fit for the current working requirements where one needs to work on different devices. Most importantly, they are employee-friendly as the staff can adjust the screen or height according to their needs and convenience. In addition to the flexibility of these workstations, it also comes along with the facility of manual as well as automatic adjustments. Last but not the least, there are office workstations with screens for privacy. They ensure separate work space despite being connected. Such workstations are best for those offices that need to provide privacy to their employees but face space constraints. Ergonomic workstations are workstations that are well-designed and well-adjusted to create a safe and healthy computer workstation. These workstations are built keeping in mind the anatomy of the human body. In other words, they are designed after taking into account the advice of health experts. They have adequate space and arrangements to adjust the workstation to match the convenience of the staff. Having such workstation ensures healthy and motivated employees. It brings down the risk of accidents and illness due to pressure on joints and bad posture. Well-designed and healthy workstations also boost the creativity of staff which leads to innovation at workplace. Overall, it results in higher employee satisfaction, better engagement and improved efficiency. Ergonomic workstations are the need of the hour. In these digital times, when everything has become computerized, sedentary work style is a reality that everyone has to deal with at their workplace. Sadly, it is unhealthy. Sitting for hours in one position puts strain on the body and it is the back, shoulder and the neck that bears the maximum amount of brunt. As a result of which one can develop pain and ailments related to different body parts. So, you need well-designed ergonomic workstations to keep your employees fit and fine. It is also essential to maintain productivity and high employee engagement in your organization. What Urban Hyve has in store? So, here is Urban Hyve with its rich range of workstations in different size, shape, colour, material and style. We have handpicked each of our workstation with utmost care so that you get the best quality at an unbeatable price. We have ensured the most extensive variety and the widest price range in our collection to give you the best in the least. The motive is to offer you value for money and provide you with workstations that will make your employees go gaga every time they set their eyes on their workstations. So, come and pick the workstation of your dreams and watch your staff productivity galloping to incredible heights.